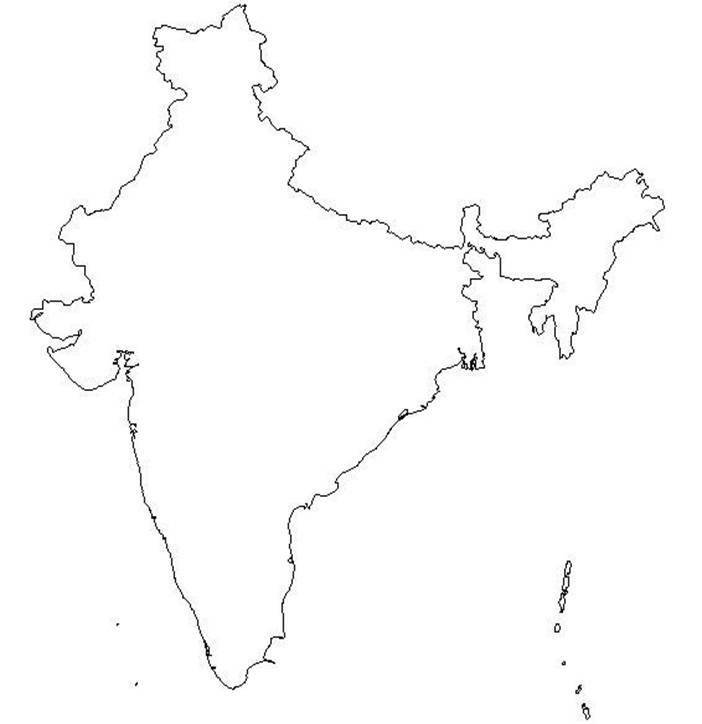 Please print out two copies of the above outline of India and complete the exercises below by locating each of the listed features on a map of India and filling in the outlines accordingly. Be sure that the locations are given accurately and that the map is tidy (really messy maps will be returned ungraded). The maps are due in class on the date given in the syllabus. If there are any inaccuracies, I will return the map to you without a score, from which time you will have one week to figure out where the inaccuracies are, correct them, and re-submit the map to me. After that point, I will score according to the second submission. This is the only map exercise that will allow for resubmission. As accurately as possible, draw in the outlines of each of the states of India.